Thank you for your interest in our work. Since our inception in 2000, the Orfalea Foundation has given more than $135 million in funds supporting programs of interest to the Orfalea Family. 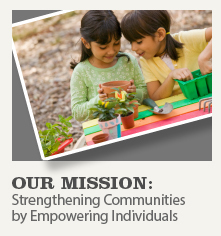 In our effort to continually increase the efficiency of our granting and maximize the philanthropic impact of our collective efforts, we have elected to narrow our focus to Santa Barbara County and in the areas of Early Childhood Education, Education, and Youth Development. A large part of Orfalea Foundation grant-making is carried out through partnerships with organizations that share our passion and vision for initiatives that positively impact our community. For access to your account portal/login page, please go here. Thank you for considering the Orfalea Foundation as a partner in your efforts. The Orfalea Foundation is currently accepting grant applications on an invite basis only. The only opportunity to openly submit a request is to two of our initiatives, School Food or Aware & Prepare. If you feel your organization may be a strong fit with the goals and focus of either the School Food or Aware & Prepare Initiatives, and you have determined that your request is consistent with our efforts, we welcome you to submit an online Letter of Inquiry (LOI). Our grant cycles begin with the submission of a Letter of Inquiry. If advancement is approved, the grantee will be invited to submit an online grant application. These applications are then discussed and presented to our Directors, where the final dollar amount and terms of each award are determined. The process is designed to objectively and efficiently review the merits of every proposal we receive on the basis of our stated focus areas, goals, and available funds.